ASTRO Gaming wears its love on its sleeves; the love for creating high end professional gaming headsets. And true to its pedigree, it has come up with the ASTRO Gaming A38 wireless headphones, one of the best over-ear noise cancelling headphones in the market. 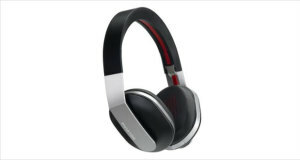 These sleek, edgily designed headphones come in two different colour codes and an adjustable headband. The active noise cancellation gives the most secluded music moments with a deep and defined soundstage. Overall, the headphones are one of the best midrange noise cancelling devices for gamers and audiophiles who are looking for a tangle-free music experience. 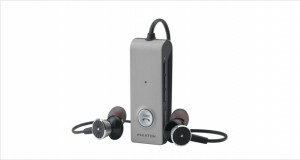 Combines APTX low latency Bluetooth with AAC high-fidelity Bluetooth. Active noise cancellation that gives a true to life gaming experience. Connects with Tablets, Notebooks and Smartphones. A single button for start/stop/skip between songs. Tuned in for mobile gaming, music and voice-com. A mini/micro USB cable for charging the batteries. The ASTRO Gaming A38 Wireless Bluetooth headphones, one of the best mid-range, noise cancelling devices in the market, come in an all plastic design that sets to become quirky and eye catching from the start. They are available in two shades of greyish white with bright yellow rims and black with neon blue highlights. The earmuffs and headband come padded with cushy, synthetic leather with foam memory. The headband can be adjusted to alter the height. The earmuffs can rotate ninety degrees to aid storage while not in use. The tags on the outside of the earpads are removable and customizable. There are three switches: one starts, stops, or toggles the song list, one puts the device on/off, and a third controls the volume. Dimensions10.1 x 3.4 x 9.4 inches"
The whole plastic body, though looks cheap at first glance, is well made and quite sturdy. That being said, they are not built for extreme rough use. The headband can be adjusted lengthwise but not along the width, meaning that even if they can be made to sit around the ears properly, lack of flexibility around the head size causes considerable pressure on the ears if it isn’t the perfect fit to the default band size. The earmuffs heat up after a while, causing discomfort. The non-foldable make up does not allow for compact packing. However, device is lightweight. The bass is less rich than what some anglophiles would prefer, though quite defined. No headphone will give complete isolation from ambient noise. Frankly, that might be dangerous as well had it been so, for it would block out all necessary sounds too. 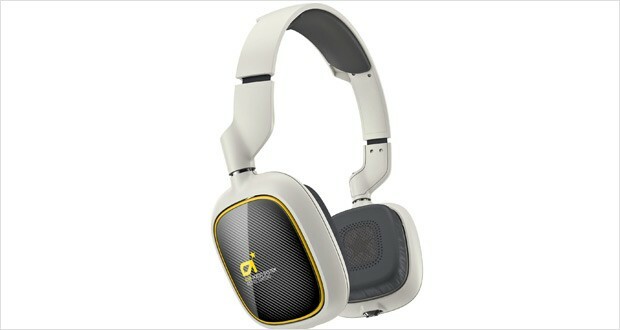 The ASTRO Gaming A38 does a decent job of blocking out the majority of cacophony. The Bluetooth feature works beautifully with fast sync up and steady connectivity over a wide range of distances between the music device and the headset. The sonic experience is rich and detailed, and the active noise cancellation feature is exceptional with minimal bleed out of the music at moderate volume levels. Good range on the Bluetooth connectivity. Customizable speaker tags that are also available in special gaming designs for the less creative. 15+ hours of talk, 20+ hours of audio, 30+ hours in airplane mode, and only takes 5 hours to get a full charge. Quick sync up with the Bluetooth. Snug fit that allows for a certain degree of mobility without falling off of the ears. Adjustable earpads turn ninety degrees. Does not connect to the desktop or laptop. Passive noise cancellation is not up to the mark. Heat builds up in the synthetic leather ear muffs. Pressure on the ear doesn’t allow long term use. Absence of a battery indicator. The ASTRO Gaming A38 Wireless Bluetooth headphones offer a charming sonic experience. However, bulky packaging, a microphone without noise cancellation and an uncomfortable design docks off points from an otherwise splendid set that delivers a detailed sound stage with crystal clarity and resonance. 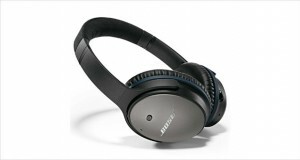 For those who cannot shell out the big bucks for a BOSE, ASTRO does a decent job of producing a midrange wireless set.